Here is a superb article by a rider about why they have got invloved in protecting their local bridleways with top tips on how to make a start and what actions are needed. Following our comprehensive campaigning this route is open and being used however the cheeky farmer was slow spraying out the route this spring 2016 and WBA have had to ask Wiltshire Council to intervene agian. The result is a defined path but too narrow and not following the true, original route. Why does that matter, it's there you may ask? It reduces the length of the bridleway itself meaning it is not so long to ride it and the crop will grow and overcrowd the path making it narrow and risky later in the year. The farmer also gains revenue by not adhering to the law. We hope that he will re instate the correct route and width very swiftly. See our facebook post video for a 2015 summer canter along the correct route. with the zig zag. On 4th April, the Eastern Area planning Committee decided to proceed with the diversion order and refer it to the Secretary of state, with the request it be confirmed. The next stage is therefore a public inquiry where an Planning Inspector will hear evidence in support of and opposition to the order and carry out a site visit in order to either determine or reject the diversion order application. We will keep all members informed of the hearing date and would hope as many of you as possible will be able to attend and support WBA's objections. I would like to draw your attention to the last three updates of June, July and October 2014 on this subject. You will note that on Wednesday 21 May 2014, the Planning Inspectorates Report was published giving Wiltshire Council and the land owner over which this bridleway passes, a period of twenty eight (28) days in which to reinstate the route. That period expired on Wednesday 18 June 2014 with no action being taken. Various reasons were given for the delay, including a belief by the land owner that at some stage in the past, a fibre optic cable had been installed underground along the length of the bank adjacent to the B3098 road. Wiltshire Council were unaware of this, but understandably they have a duty to investigate. How strange that this information was only revealed after the publication of the Inspectors Report, but not prior too or during the Public Hearing! 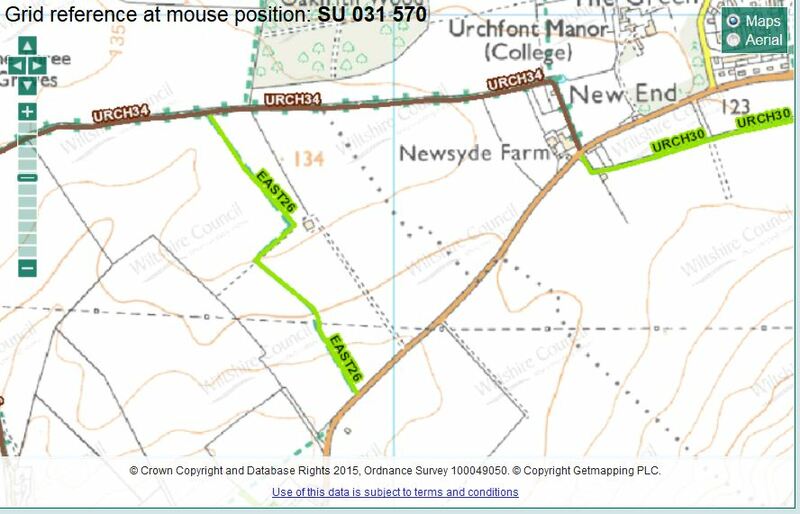 'On Mon 8 Dec 14 I made my fortnightly visit to Easterton BR 26 and was delighted to note that access points have now been provided onto the line of the bridleway from both the B3098 and Easterton Byway 34. Thank you. I can now report this progress to WBA members and other users who I am sure will be equally happy. Do you have any idea at this stage when the relevant Bridleway signage will be installed? A response is still awaited!! On Monday 15 December 2014 I received a copy of correspondence submitted to Wiltshire Council by a rider who had attempted to used Easterton Bridleway 26 on Saturday 13 December 2014. This user described how, having entered the route from Easterton Byway 34, her horses legs sank into the soft earth of the ploughed field, thus her only option was to back out and return to the Byway. I mentioned earlier that the report of the Planning Inspectorate gave 28 days for completion. Wednesday 17 December 2014 marked the passing of Thirty (30) weeks. I hope readers will agree that this situation is totally unacceptable. Many people have worked very hard to bring about the re-opening of this bridleway. Please feel free to inform friends/family etc of the present position and I would seriously appreciate comments from other users (walkers/riders/cyclists) of their experiences, good or bad, as the WBA Committee will, with your support, continue to push this matter forward. 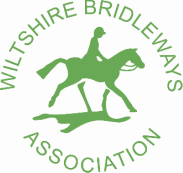 On Wed 9 Jul 14, and in response to the WBA letter dated 4 Jul 14, confirmation was received from Wiltshire Council that on a meeting had been held between WC and the landowner concerned to discuss the reinstatement of Easterton Bridleway 26. Details have been passed to the Rights of Way Warden who will carry out the necessary work but it is now understood that there may be plant equipment located in the bank, (not previously mentioned), which if found, will need to be removed. The present crop is due to be harvested around the end of Jul 14 and any future crops will be 'sprayed out' to maintain the definitive line. The PROW Warden has be advised by the management section that WBA would be happy to help with advice on creating a safe access for horses onto the B3098. On Thu 26 May 14, a Public Hearing was held at Easterton Village Hall, Chaired by a member of the Planning Inspectorate, Bristol, to determine the position with regard to the route of Easterton Bridleway 26. The Inspectors report was finalised and distributed on Wed 21 May 14. This gave the final decision that the Map Modification Order was Not Confirmed, which under the Highways Act 1980, allowed Wiltshire Council and the land owner, a period of 28 days in which to re-instate the definitive line of Easterton BR26. That period expired on Wed 18 Jun 14. On Tue 24 Jun, and again on Thu 3 Jul 14, the location of Easterton BR 26 was visited. It was clear that remedial work had not commenced. No communication has been received from Wiltshire Council, therefore on Fri 4 Jul 14 a letter was written to The Council requesting a formal update, plus the re-instated of Easterton BR26 without further delay. That letter was also copied to the Planning Inspectorate, Bristol. Bridleway signage was installed at both the northern and southern end of Easterton Bridleway 26 by a contractor working on behalf of Wiltshire Council. A map showing the line of the bridleway across the field has also fixed to these posts by WBA. This PROW has a recorded width of 4 meters and it is the landowner responsibility to ensure the surface is reinstated to an acceptable, usable standard level. It is also in his interest to ensure the definitive line of the bridleway is clearly marked to ensure users do not stray from it, thus preventing unnecessary damage to his crops. Frequent visits and walks across the field have shown that this land is poorly drained and inclined to be a bit 'boggy' after any period of rain. That said, THIS BRIDLEWAY IS NOW OPEN FOR BUSINESS. PLEASE USE IT. A huge 'Thank You' to all who have been involved in campaigning for the reinstatement of this PROW. This is a great result and the effort has been well worth it.